He was born the son of Richard Baker of Cranbrook, Kent and was educated for the legal profession in the Inner Temple. In 1520 he was under-sheriff of London and in 1526 appointed Recorder of London, which he gave up to be attorney-general of the Duchy of Lancaster. 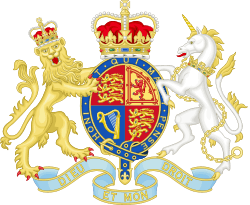 He was appointed attorney general in 1536 and by 1540 sworn of the privy council of Henry VIII, Edward VI, Mary and Elizabeth I. He had a reputation as a brutal persecutor of protestants, earning the nickname 'Bloody Baker'. A legend arose that he was riding to persecute protestants when he heard the news that Queen Mary had died. The place where he was said to have turned back became known as Baker's Cross in Kent. Along with his gruesome title, he was believed by some townsfolk to be a vampire. He was knighted in June 1540 but gained no further preferment until 1545, when, having recommended himself to the king by his activity in forwarding a loan in London and other imposts, he was made Chancellor of the Exchequer. 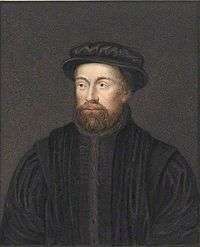 He entered Parliament in 1529 and 1536 as MP for London, followed by terms as MP for Guildford in 1542 and Lancaster in 1545. He was then elected to Parliament in 1547 as knight of the shire for Huntingdonshire. He attained considerable eminence as Speaker of the House in both the 1545 and 1547 sessions. He afterwards represented Bramber (1553) and the county of Kent (1554, 1555 and 1558). Sir John married firstly Katherine, daughter of Richard Sackville of Withyham, East Sussex and secondly Elizabeth, daughter and heir of Thomas Dineley of Stanford Dingley, Berkshire and Middle Aston, Oxfordshire, and widow of George Barrett of Belhouse, Aveley, Essex, by whom he had issue (two sons and three daughters). He kept a country estate at Sissinghurst Castle, Kent and was the grandfather of Sir Richard Baker, the sixteenth-century historian. His daughter Cicely married Thomas Sackville, 1st Earl of Dorset; among their many descendants was the writer Vita Sackville-West, who restored Sissinghurst and created the Sissinghurst Castle Garden. Baker, F.V. (1926). "Notes on the life of Sir John Baker of Sissinghurst". Archæologia cantiana. Kent Archaeological Society. 38: 5–26. Martin, W. Stanley (1896). A Glimpse at Cranbrook —; The Town of the Weald. Post Office, Cranbrook: E. J. Holmes. pp. 79–80.